The older I get, the less I understand the desire for extravagant weddings. I was barely in my twenties when I got married and even then it was fairly low-key by most standards. For us, we wanted to things to be really good: the food and the music. That's why we decided to have a smallish reception -- about 50 people -- at a restaurant and brought in a small standards/swing band. Still, when I think about the things I would do differently, it's always about downsizing not upsizing. A few weeks ago we attended my sister-in-law's wedding and were delighted to see that she got so many things just right. Every time we'd talk about the wedding prior to the event (which was pretty rarely), she always played it down and questioned whether they were doing too much. For example, after booking the caterer she said that she should have just got her brother (my husband) to make the food. I joked with her at the wedding that I half-expected to see people in flip-flops just wandering around eating Lunchables. The reality of the wedding is that it was very DIY and creative (much like the bride herself). Friends and family were very involved in pulling things together and yet it had a totally polished touch. It was held at her parents' house -- her childhood home -- so everyone felt comfortable and, I would say, truly happy to be there. Here's a few shots of the day. 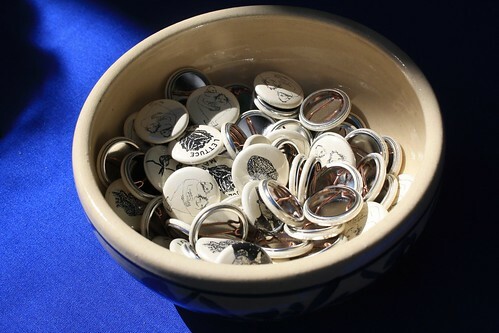 Buttons made and provided for the guests by a friend of the bride and groom. The bride and groom are married by the bride's former roommate and newly-ordained "minister." 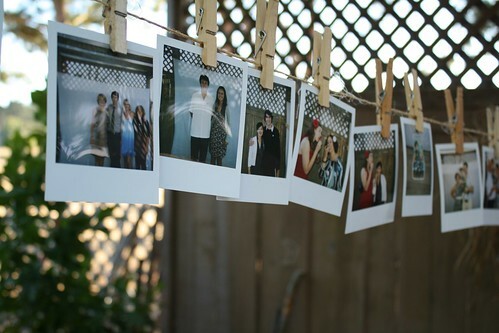 A Polaroid camera and a sheet backdrop were on hand for guests to snap photos of themselves and hang on a nearby raffia clothesline. 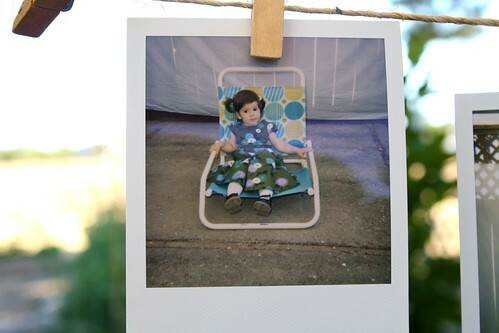 Our daughter, Penelope, poses for the camera. 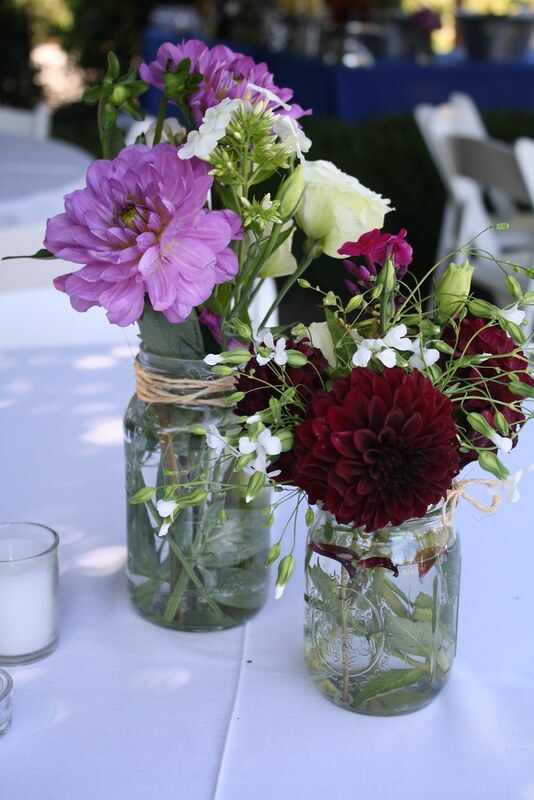 Mason jars provided by the mother-of-the-bride (she cans her own jam) held the flowers.